What an amazing year it was at Camp Cotubic in Bellefontaine, Ohio! This year we had 52 staff and 103 campers. The campers came from 16 different states, and one was from Latvia. It rained on staff on arrival day. However, we were blessed with the most amazingly beautiful double rainbow with a full 180-degree arch. No camera could truly capture the vivid colors! Although we had some rain at the beginning of camp and a soggy Friday, all other days were gorgeous, with daily high temperatures in the low 80s and overnight low temperatures about 60 degrees. Camp Cotubic always provides a beautiful and remote environment for our teens to “unplug” from their daily routines and spend time building their relationship with God and other friends in the faith. It’s always enjoyable to watch them arrive and see the excitement as the dorms begin to form at check-in. 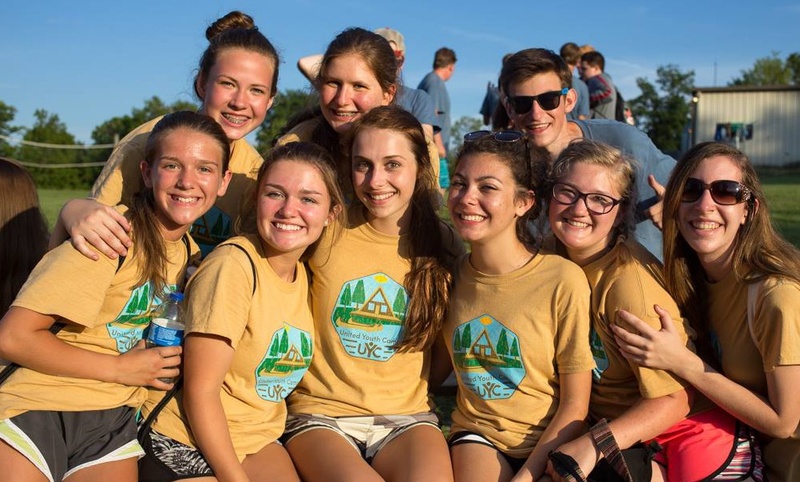 The daily Christian living classes focused around the overall camp theme of “Building Your Relationship With God,” and each day built upon the theme of the previous day. This year a camp notebook was given to everyone to make it easier to follow along with the Christian living instruction. The campers also participated in a practical Christianity class where they were asked, “Do you have a price?” This led to a very interactive discussion on the value of our calling. We conducted a new writing workshop class, just for 2017. It was a departure from so many of the traditional physically challenging activities and focused on helping the campers learn to develop skills in the area of writing or journaling. We encouraged them all to consider writing articles for Church publications such as Compass Check. On Wednesday evening, Camp Cotubic opened up their new slip-n-slide! This is something they had been building for a couple years. It has a deep foam base underneath the commercial grade surface and of course “slime”—a clear slippery substance that reduces friction. Less friction equals more speed! This year the camper vs. staff softball game at the end of camp ended with a close score, but the staff was able to edge out the campers by a three-run margin. The game was accompanied by some funny color commentary, music and ice cream! Thank you for your continued prayers and support of the entire camp program.